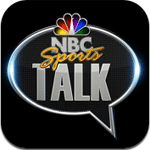 I love football, so I can not really speak much on the other “talk” sites that NBC now runs. 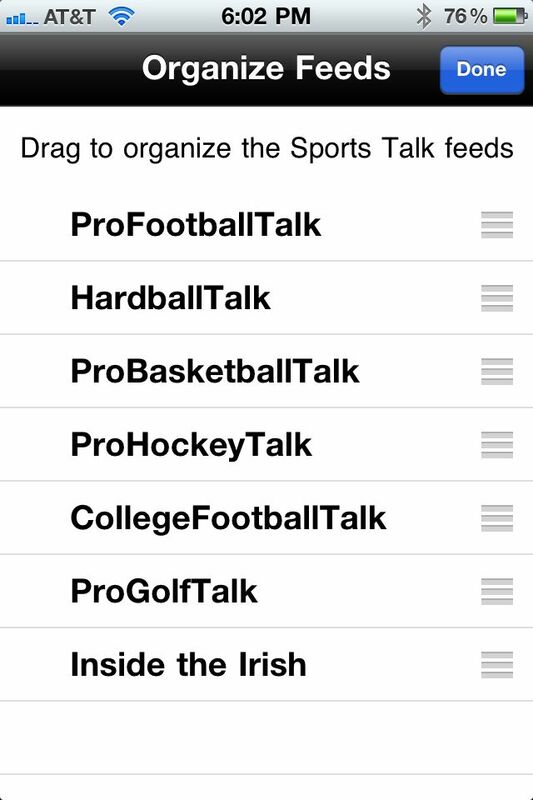 Profootball Talk is the only one I use, and I use it frequently. It is one of those sites to check multiple times a day to get the newest information from the great writing staff they have. 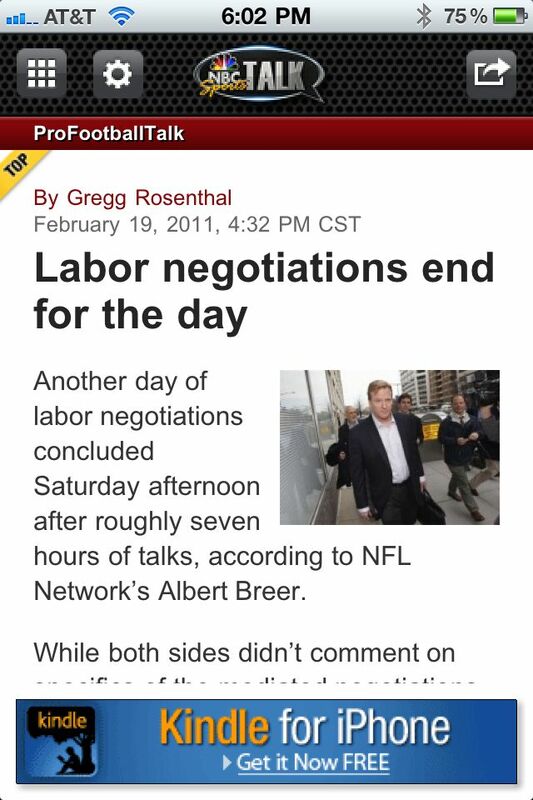 Having an entire app designed around the talk sites is kind of useless unless you want to view the news from those other sites. Not me, I am solely a PFT guy. That does not explain though why I find this app rather useless. Your iOS device has a browser built in, or there are 3rd party browsers to download and install also. So needing a complete app to replace the option of opening the browser and following a boomark is not something I quite understand. That being said, what they do have in this mashup app is pretty nice, it does look good and work very well, it is just overkill for loading a browser and a text based website to me. The app is free, so testing it out will cost you nothing, so why not pick it up? The interface is very well done for what it is. 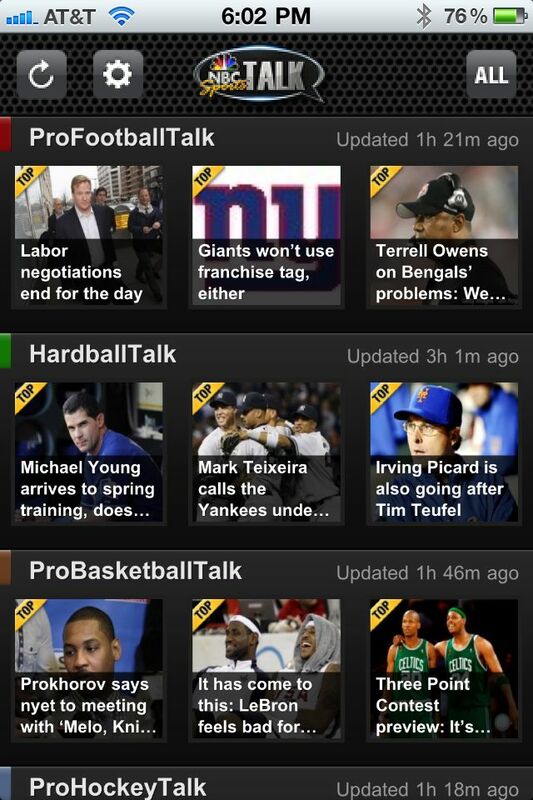 The big multiple sport nuts out there will probably love this app, because it puts all of the top news on one page and is clean and simple to use. It is just not what I would use myself. All that said, I will throw this app to the middle of the pack on whether you should grab or not grab. It’s easily replaceable by a bookmark.